This salmon recipe says it’s good hot or cold. Cold it could good for picnics or even school or work lunches. 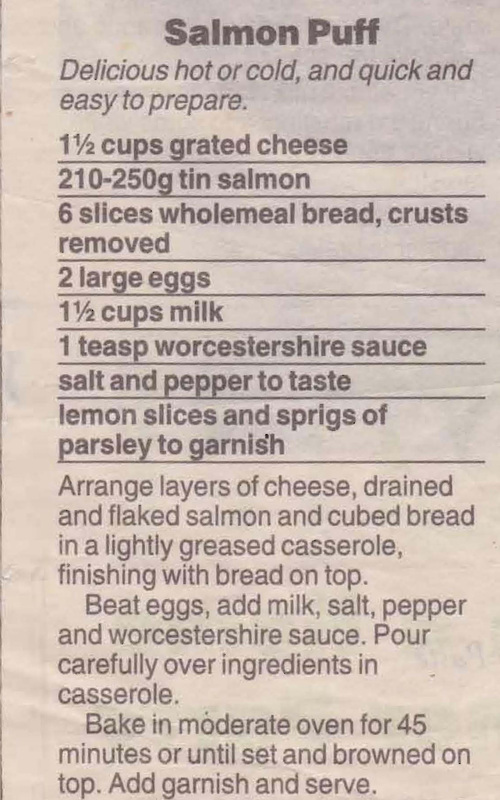 This entry was posted in All Recipes, Main Dishes, Seafood and tagged 1980s, cheese, eggs, salmon, salmon puff, wholemeal bread by bebsrecipes. Bookmark the permalink.